It’s something that a lot of people discover within themselves. They have a passion for music that they’ve wanted to show for a while now. One thing or another has been stopping you, but you can’t hold back any more. You need to start getting involved and sharing your passion with others. 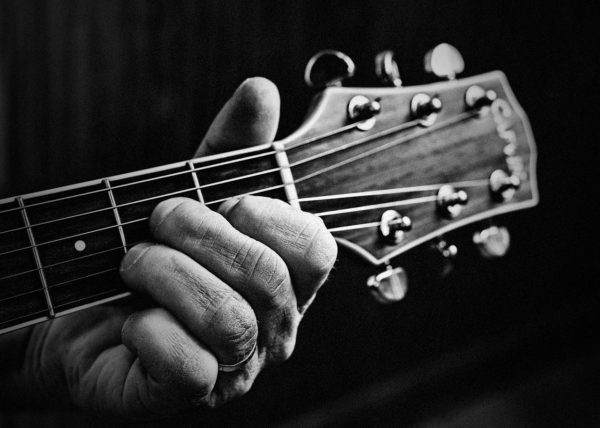 For a lot of people, the instrument of that passion is the guitar. In this article, we’re going to look at how you start playing and getting people to listen. The first thing that you’re going to need is the actual guitar you’ll be playing. 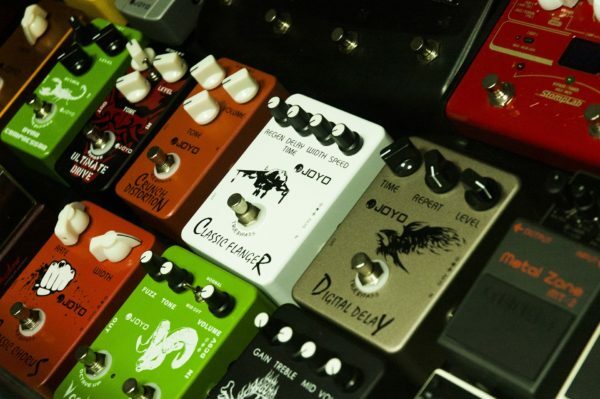 Depending on what kind of music you want to play, you may want entirely different kinds. For rock, blues or metal, you want electric. For singer songwriter music, the acoustic is the way to go. The classical guitar is, of course, best suited for classical music. If you find yourself getting talented and want to diversify, of course, there’s nothing stopping you from. Still unsure about how good you can get and how much effort you can put in? It’s a good idea to borrow a guitar from a family member or friend before you spend your money, however. There are as many ways to learn with the guitar as there are ways to play it. It’s not impossible to be entirely self-taught. You can experiment and pick up chords and the like through the internet. Then there are the more focused courses you can find, online guitar lessons for building a real working knowledge. For the structured approach that some find best for learning, you may need to pay for those online lessons. Of course, there are those who can flourish a lot better with the right help. A teacher can help communicate and foster understanding in the way that a one-way lesson often cannot. Find which works better for you. Just know that there are always ways to help you improve, regardless of your circumstances or preferences. For a lot of electric guitar users, they find that developing their own talent and playing style isn’t enough. Music is a diverse range of disciplines coming together, so learn more of those disciplines so you can find the sound you want. A lot of this comes down to the different kinds of ways you can electronically affect you sound. The use of a quality amp matters, for one. So does using things like reverb, delay, fuzz and distortion. Make sure you’re choosing the right equipment, the top rated wah pedal and filters to shape your sound. The more work you’re willing to put into it, the more unique a sound you can end up with. You’re putting together your own knowledge of how to use your instrument to the standard you want. One of the next best steps is to get others involved. Not only is playing with other musicians potentially a lot of fun. It can be rewarding to see how your sound works in a further ensemble. It can also be the right kind of environment to help you shape a better idea of the kind of music you want to play. Sites like Meetandjam can help you find musicians looking for others to play with in your area. If your first experience isn’t the best, don’t worry. Everyone works better with one type over another. Just keep trying and enjoying the ride. Many musicians aren’t quite satisfied with just producing great music. They also want to start sharing it. After all, music and art are forms of communication. You can get a lot more from the experience if you’re sharing it with others. The start of doing that, besides finding gigs to play, is recording your music. This often means a bit of investment and developing a new skillset. You need high quality microphones, for one. You don’t want to spend all the time sculpting a deliberate sound just to have it distorted by poor quality recording. You need to find the best environment in terms of recording, hardware and software, and keep it consistent. That’s not where it ends, either. After you’re done recording, it’s time to better hone your sound and edit the track. Audio post production is a long process, laborious and involving learning to use a lot of different software. It’s not for everyone, but for those who want even more control over their sound, it’s there. Thankfully, there are almost as many lessons on post-recording productions as there are for learning the guitar. At the same time, there are a lot of independent musicians who don’t do this step themselves. Collaborating with a producer can help you use the expertise of another to get the sound that you’re aiming for. With post-production done, that’s the creative part of the endeavour done. Now you want to actually start sharing it. So, now you have your music, you want to get heard. You can start looking for gigs in your local area if you have the material and band you need. For a lot of modern musicians, however, the internet is their proving ground. You need to build an online presence. There are a lot of different ways you can do this. For example, musicians are able to build surprisingly large followings on Youtube if they’re lucky. A website can also be a place for you to develop a brand and a style of image and content to go with your music. Even if you’re not in it for money, think of your music as a product to sell. It needs all the trappings, too. The presence isn’t quite enough. You also need to put effort into getting yourself heard, too. Adding your music to Last.Fm, for example, can help you get discovered at any time by avid fans of music. Reddit is arguably one of the biggest pages on the internet when it comes to passionate people. There are a lot of different pages (or Subreddits) that can fit the content you want to share. If you want your music to get shared amongst a particularly large audience, you might need to get lucky in having an influential voice on your side. Bloggers, podcasters and the like can really help boost the popularity of a musician. Send your music out and hope it gets the right kind of reception. One more approach for getting heard more is so important that it needs an entry all on its own. On the internet, you want more than an audience. You want a community to share and support you. You want to build a presence that’s organic and to do that, you need to get involved. Support other musicians, for one. Use your site as a blog where you curate music that you think your fans and potential fans should like. Even better, take a step out and get involved with those musicians. Find the musicians who are open to collaborating with you. Not only do you get the creative experience of working with one another. You can benefit from one another’s audiences, too. We hope that this article has helped. Getting good at playing means practising not only your technique but your production. As you get better, you need to find the right channels to share your music. So long as you love what you’re doing, you shouldn’t have too much trouble waiting to get noticed.